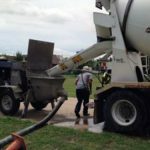 Gene’s Concrete & Pump Service provides concrete pumping services in the Dallas area for residential, commercial and industrial properties. 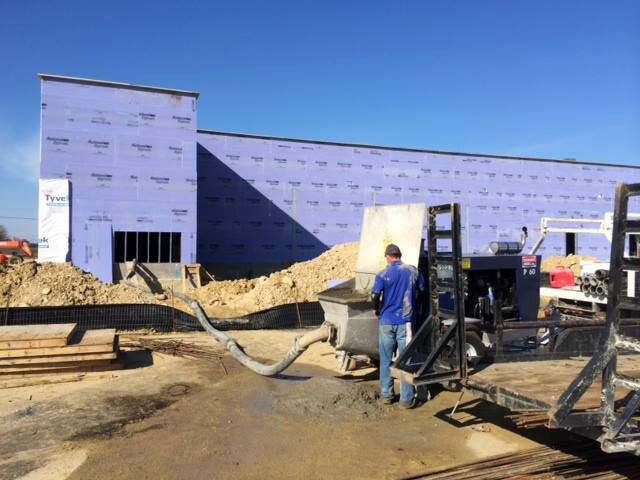 We offer affordable rates and versatile equipment that can pump concrete to even the hardest to reach places, allowing us to save time, money, and labor. Our pumping system keeps costs low – and we pass those savings onto you. 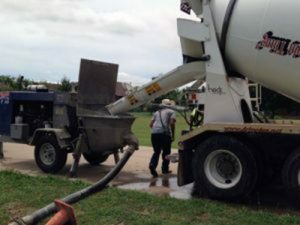 Our high quality equipment and state-of-the-art technology has been a key part of our success as the leading concrete pumping company in the Dallas/Ft. Worth area. 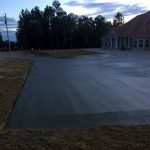 Our professional staff has years of combined experience in concrete pumping and pride themselves in always offering our customers the safest and most cost-effective solution to any concrete placement project. 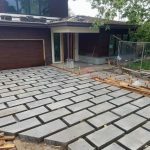 At Gene’s Concrete & Pump Service, we bring quality, expertise and years of experience to every project. As a local, family-owned business based in the Dallas / Fort Worth area, we take pride in providing our community with quality service and workmanship. 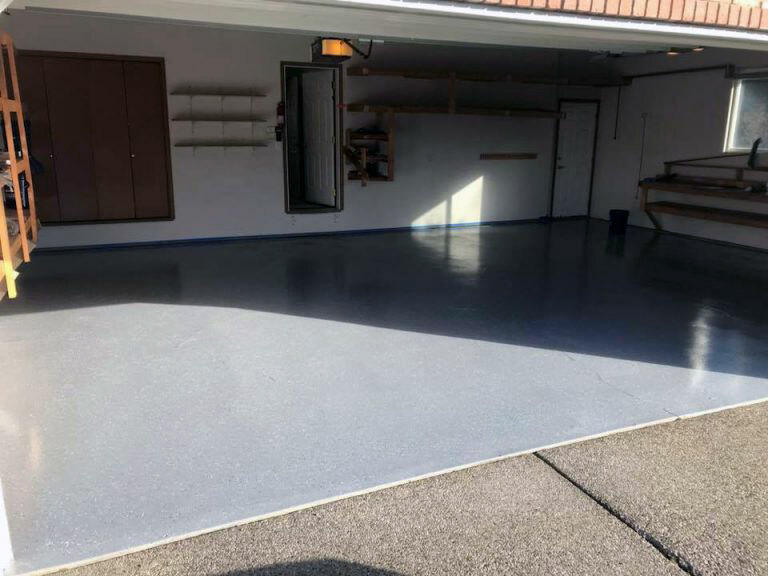 We take our commitment to family and the community seriously, which is why customer satisfaction is our top priority, followed by making sure that your job is completed on-time, on-budget, and with stunning results. 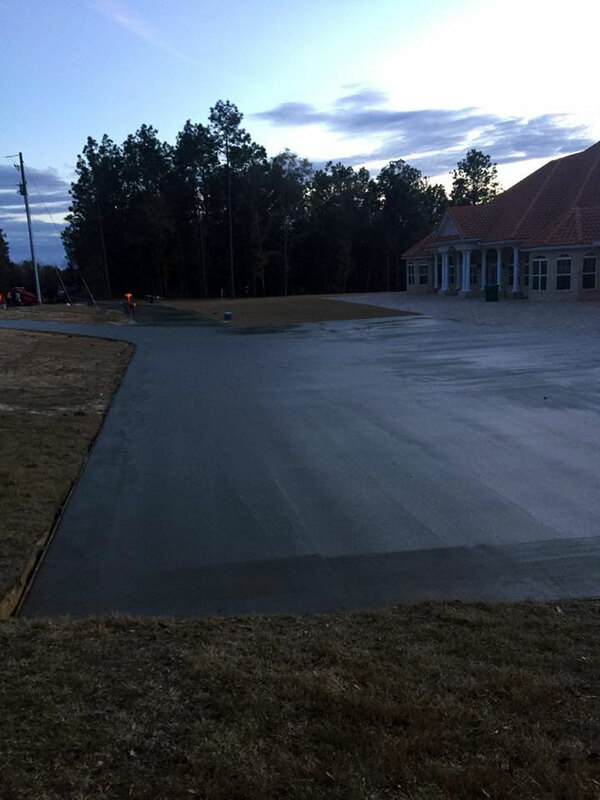 Contact Gene’s Concrete & Pump Service today to learn how we can assist you in your concrete placement project! 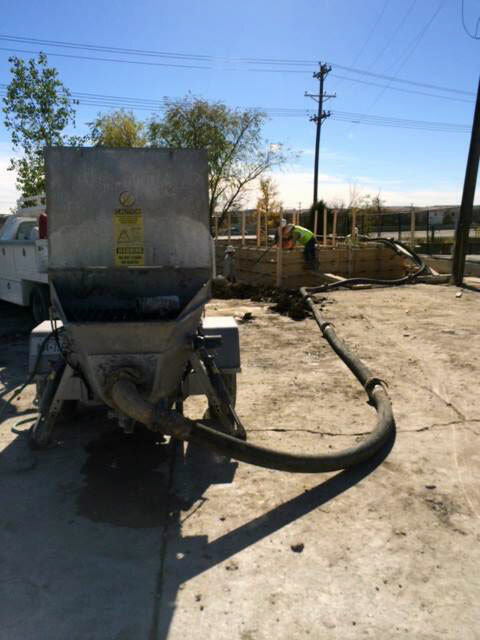 At Gene’s Construction, LLC Concrete & Pump Service, we have the equipment and expertise needed to pump your concrete wherever it needs to go! We’re available on short notice and provide responsive, friendly, and reliable service that will keep your job running on-time and on-budget, without any hassles. Why use a concrete line/trailer pump? A line/trailer pump can keep your labor costs down by requiring less employees to be on the job site. The pump can go where concrete mixers cannot go. We guide the hose for you, so that you can focus on the placing and finishing of your concrete. We help you get the job done in a safe and cost efficient manner. Contact us at (214) 995-0730 for advanced scheduling or (972) 365-7879 for immediate service with your job details and we will go over our prices with you then. Each job could be different and this may affect your end cost. We accept cash, all major credit cards, and company and/or personal checks. 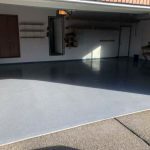 What Information will need I need to provide to my concrete supplier? 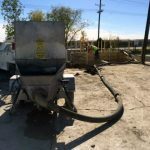 It is very important to specify to your concrete supplier that you will be hiring a concrete line/trailer pump to pump the concrete and that we will be using a 4″ diameter hose. They need to provide a mix with ” diameter rock. Can concrete be pumped up hill? Concrete can be pumped uphill, downhill, through small openings, across long distances, and around and under obstacles. Just let us know what you require, we will be able to help. Why is some concrete not able to be pumped? 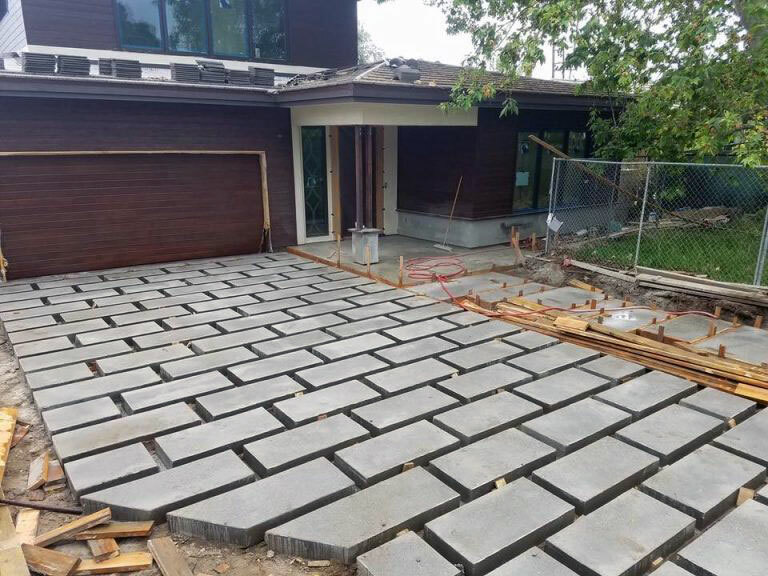 Concrete is made up of many different ingredients. Certain mixes such as exposed concrete have a significantly higher proportion of large rocks than a normal mix or duramix. The extra rock content can bind in our hoses, preventing us from pumping. Also, other types of non-pumpable concrete could include mix designs with too much sand. 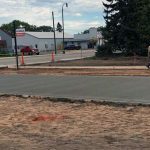 Who pays for the concrete if it is not able to be pumped? We try our best to pump concrete supplied by the concrete company that you hire. 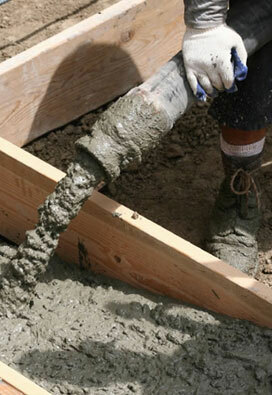 We do not supply concrete, so it is impossible to ensure that the concrete is 100% consistent from job to job. We will, however, make our best attempt to pump the concrete mix as long as it is safe to do so. However, we are not responsible for the cost of the concrete mix if it cannot be pumped. As long as it’s in our schedule for that day, we can wait for a replacement load, but sometimes it is better if we can reschedule for another day. 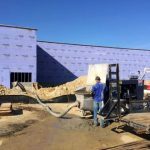 What is the coldest temperature that concrete can be pumped? As we have been told, our concrete pump can pump in really cold weather, however, we have set our limit at 32 Fahrenheit. If the weather is below 32 Fahrenheit, we will ask to reschedule. We get our weather information through The Weather Channel.